My machine, whom I call Sally (I think of her as a cheerleader) decided to work again with no help from me whatsoever. After she broke down, I think her boyfriend broke up with her behind the bleachers (see the high school thing again) she sucked it up, put on her big girl pants and decided to work, once again. Miracles do happen! So, I was able to get an enormous amount of sewing done this month. Thank goodness! I was 2 seconds away from pawning my husband for the money I needed to get her fixed. I was able to finish all 4 stockings. From L to R stockings belong to, husband, me, daughter, son. All of the fabric was from last year’s stockings that I hated once done, so all of that was free, and so were the buttons thread and batting. I also made 4 clutches on commission (now I can go buy presents for us this year WOO HOO). 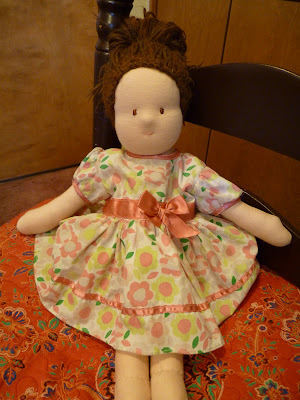 One of my kiddo’s Christmas presents this year is a Waldorf doll with all the clothes; a dress, bloomers and a pair of shoes. 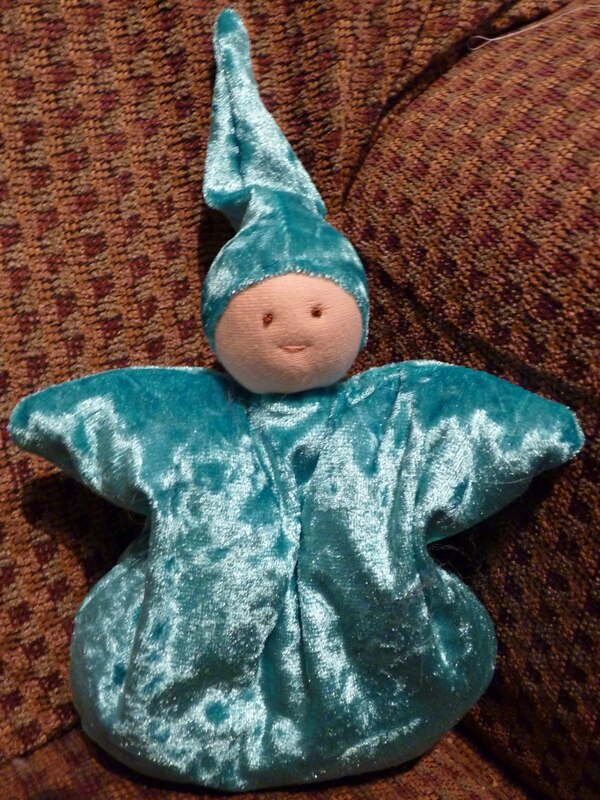 I had bought everything I needed to make the doll for last Christmas and never got around to it so it worked out great. I still have her PJ's to finish up but I'm well on my way. 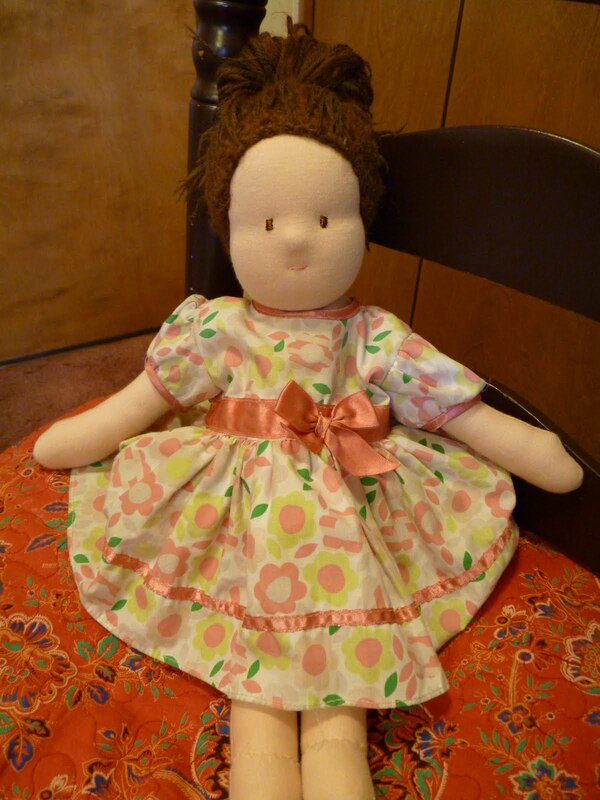 Also, another doll (Molly the Dolly) that I did finish last year, needed a new face which turned into a whole new body as well. She had been loved to the point that her face split in two and stuffing was coming from her nose. After many, many tears from R, Molly has been all fixed up again as of this morning. That was a close one! And last but not least, I made a small cuddle doll for the prettiest red head in town, turning 1 year old today. I had a very full month! Wow, I remember when I used to make nearly all my Christmas gifts. Yours are adorable. Merry Christmas!! !